I have to send a very special thank you to DCLI. The unyielding support I receive from DCLI and its employees is incredible. You are a big reason why I have had so much success in the past few years. I am so grateful for this company and for the opportunity to represent you. For more information on DCLI, please visit their website here. I can’t believe this was my third trip to Italy! I remember going the first year like it was yesterday. That being said, Italy never ceases to amaze me with its beauty, including is amazing people, food, and coffee (seriously it makes me never want to have a Starbucks again… and I love Starbs)! We started the trip in Genoa, a beautiful city located on the Mediterranean. Fun fact… Genoa is the birthplace of Christopher Columbus! The meet in Geona is called the 42nd Nico Sapio Trophy. I swam the 100 Breaststroke and the 200 IM and went personal bests in each of those events. 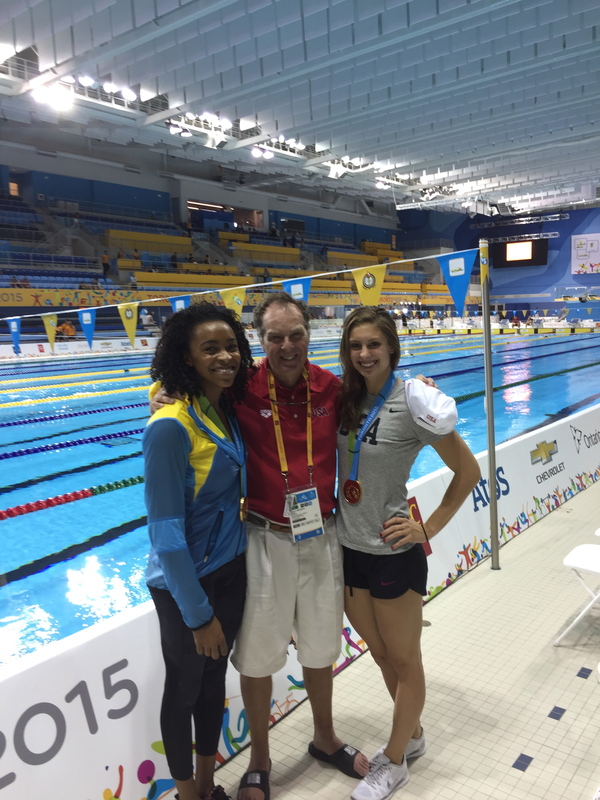 The rest of the SwimMAC crew, Arianna Vanderpool-Wallace, Jimmy Feigen, and Cullen Jones, also had great swims! The meet was definitely a success but the highlight was the café in the pool lobby and the endless supply of macchiato and espressos. After the meet we got to spend a few days training in and exploring Genoa. Thanks to one of our very generous hosts, we got a tour of Genoa by boat! We rode around the port (the largest in Italy!) to take in some awesome views. While most of the group was thrilled to take it in from the boat, Jimmy felt the need to experience it in the freezing cold water. He’s a brave soul! We traveled from Genoa to Bolzano. Bolzano is quickly becoming one of my favorite cities in the World. It sits at the base of the Dolomite Mountains and could not be more charming. The meet in Bolzano, The Swimmeeting, is an exciting meet with great history. The pool is definitely cozy (that’s a nice way of saying completely packed) and warm up is crazy (aka not possible). Despite the less than ideal conditions, fast swimmers from all around the World come every year and put up some impressive times! Because the venue is so intimate, you can literally feel the energy from the crowd and the other swimmers, making it easy to swim fast… I love it. I swam the 100m Breaststroke, 50m Breaststroke, and 100m IM and again went personal bests in all three events. This year, we took a gondola ride up to the mountains. The sight of vineyards on the hillside with the snow-capped mountains in the background is one of the most stunning I have ever seen. The pictures are beautiful and I don’t even think the pictures do it justice! It was one of those breathtaking moments when all I could feel was gratitude for getting to experience God’s work and beauty firsthand. The Italy trip was filled with beautiful sights, great people, fast swimming, and delicious coffee; however, the best part were the many, many hardy laughs we had as a group. I am so lucky I have the opportunity to do what I love with the most extraordinary people by my side! Until next time… ciao Italia, grazie!! Please check out some photos of the trip by the amazing Rafael Domeyko: Gallery 1, Gallery 2, Gallery 3. I swam the 4x100m free relay in prelims, the 100m breaststroke, and the 4x100m medley relay. I was thrilled to go a best time and to win gold in the 100 breast… It was a goal I had all year and one that I worked hard to achieve. And nothing beats getting to swim on a relay for the USA. Swimming the medley relay and winning gold with Natalie Coughlin, Kelsi Worrell, and Allison Schmitt was definitely one of the highlights of the meet. I had a lot of dreams about swimming when I was young and this relay might have been better than any relay I could have imagined in those dreams. We all swam great, won gold for our country, and had a lot of fun and laughs along the way. I’ll call that a pretty great day. A lot of people have been asking me to what do I attribute the success. Well, I would not be here without the help of a lot of people. Basically everyone is incredible… my coaches, teammates, family, friends, and all my supporters. I can’t thank everyone enough who has played a role in this journey so far (no matter how small or large). Every little piece of support and help matters and I feel it all the time. I’ll never be able to express the amount of gratitude I feel for all of you! Beyond the sappy emotional stuff, there are some hard facts. If you are interested, read on. If you don’t care, just go look at pictures! First, I got a lot stronger this year – I worked hard in the weight room with a great strength coach and teammates that pushed me out of my comfort zone. Second, I worked with my coaches to learn new technique and improve my stroke efficiency. Lastly, I got a lot more comfortable with the entire process. I had more confidence in myself and more excitement about every small piece of the equation. To me, the process is what makes our sport beautiful. Breaking the Pan-American record and winning gold in the 4×100 medely relay with Nat, Kesli, and Schmitty. Finally seeing Arianna Vanderpool-Wallace in the hallway outside of doping control after my 100 breast and her 50 free (they were on the same night). I gave her a hug and congratulated her on her gold medal as she congratulated me on mine. Anna and I train together often and that moment of realizing all our hard work paid off was a special one. Getting to wear USA on my cap and suit everyday! It never gets old!! Learning that only tourists pronounce Toronto with a hard “t”. If you want to fit in, you say “Torono”. 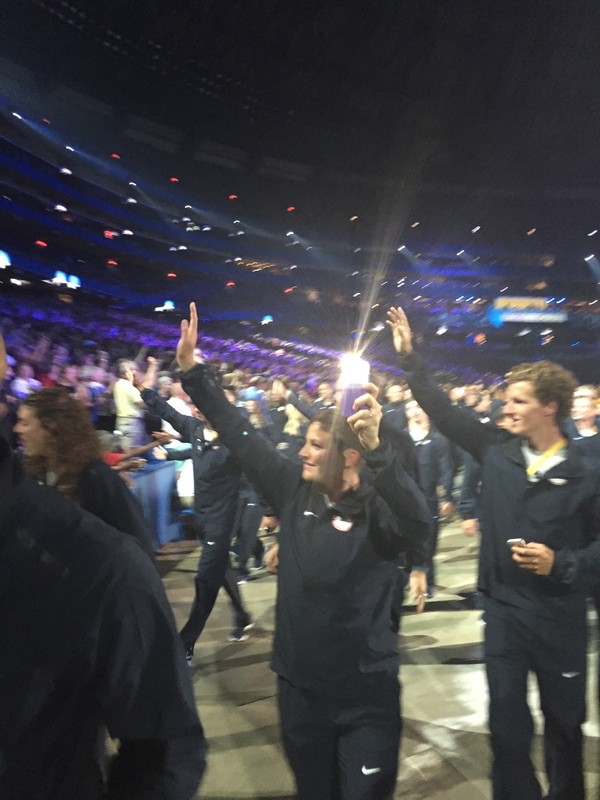 Opening ceremonies! The venue was sold out and it was such a cool feeling getting to march in wearing USA with all my teammates. Getting to meet athletes from many different sports and many different countries. I met a lot of interesting people with great stories! And OF COURSE all our sweet nike gear from the USOC. Who doesn’t love swag? I tried to limit highlights to 5 but there were too many great moments not to mention.. sorry for the novel! Below are some of my favorite pictures from the meet. Click here to view more. Back in Charlotte after PanAms, the entire SwimMAC Elite group overlapped for one day. We were excited to see the rest of group off to Worlds. 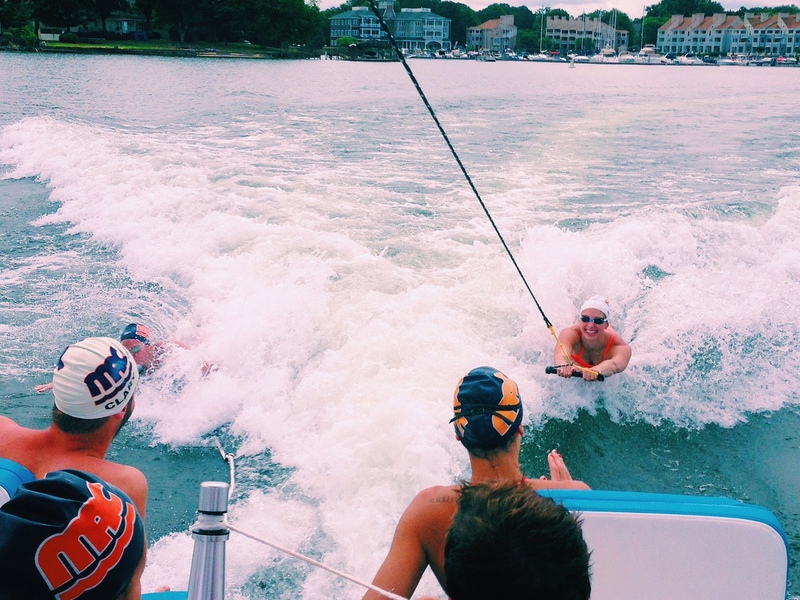 Following a couple of weeks of training in Charlotte I spent a week at home with my family (and my home club!) before Nationals in San Antonio. I was thrilled to have a Nationals in my home state! Nationals was… hot. But also a ton of fun! The Northside Aquatic Center hosted a wonderful meet. The stands were packed every night and there was a lot fast swimming to watch! Winning my first ever summer US National title in the 100 breaststroke in my home state! Don’t mess with Texas! Seeing many of my previous coaches. I was lucky to have some incredibly talented and wonderful coaches when I was growing up in Texas. I am the swimmer (and person) I am today because of all these coaches. It makes my heart happy to see them on deck helping others as they helped me. My dad surprised me and braved the heat to watch me swim! Many, many laughs with SwimMAC Elite (as per usual). I left straight from Nationals in San Antonio to fly to Moscow for the first stop of this year’s FINA World Cup circuit. I landed in Moscow at 11pm on Monday and the meet started Tuesday morning. It sounds crazy but the travel and the jet lag were totally worth it! The meet in Moscow was at the 1980 Olympic pool. This was the year that the US and 65 other countries unfortunately boycotted the Olympic Games. 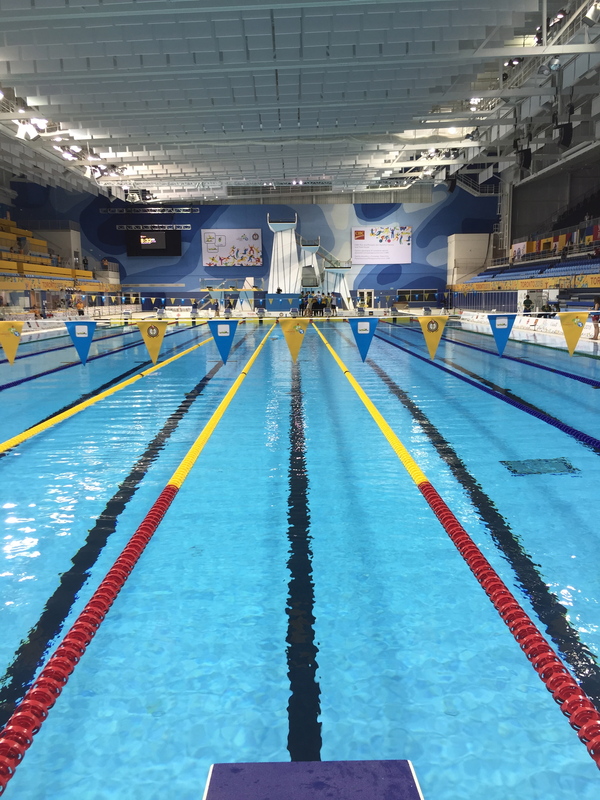 It was a beautiful pool and interesting to think that we were a handful of Americans ever to compete at this venue. The meet went great. I won the 100m breaststroke and the 50m breaststroke and won 2 mattress toppers (I’m not kidding) thanks to Airweave, the title sponsor of this years World Cups. After the meet concluded, Tim Phillips, Cammile Adams, and I did some sight seeing at the Red Square. I’ve always wanted to see St. Basil’s Cathedral in person and it far surpassed my expectations! It’s a beautiful piece of architecture. Cammile and I decided that it looks more like an Ice Cream Palace in Candy Land than a Cathedral… Isn’t art cool? The contingent from the US traveled from Moscow to Paris for the second stop of the World Cup. After a long travel day (complete with sprinting full speed through the Frankfurt airport to make a connecting flight) we arrived in Chartres, a small town about 60 miles outside of Paris. 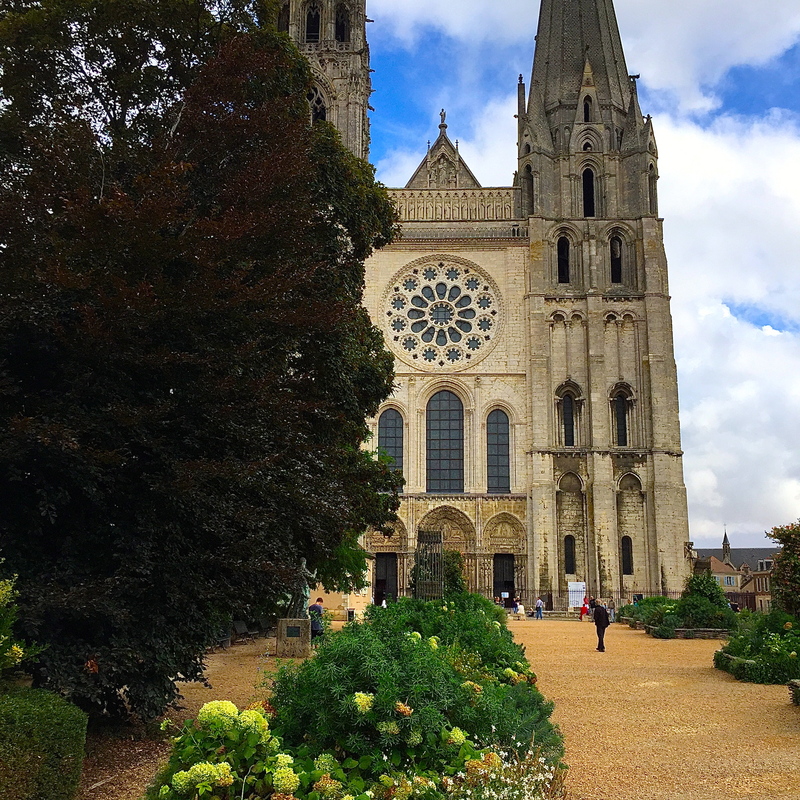 Chartres is a beautiful place and is known for the Cathédrale Notre-Dame de Chartres. It is one of the oldest cathedrals in the World and also one of the finest and best-preserved gothic cathedrals in France. We had a day before the meet started so we were able to go explore the cathedral and surrounding city center. It’s one of those things that a picture doesn’t do justice. It was simply breathtaking and very cool to see in person. The meet in Chartres went well! The venue was beautiful. Not only did we have a view of the cathedral, the complex had two 50m pools, both made of stainless steal (imagine swimming in a pool of mirrors), and some great water slides. We tested them out a few times to make sure they were safe of course ;). The volunteers were energetic, enthusiastic, and extremely kind. The meet was sold out every session and I don’t think I’ve ever seen a more energetic crowd at a swim meet.. They were literally standing, singing, and dancing the whole meet. I was blown away by their excitement and hospitality. Thank you Chartres! I can’t wait to come back! I am by no means a wedding blogger, but I wanted to share my sister’s wedding with all who are interested! Maureen and Scott are best friends and this day was a beautiful showcase of their love. They were married on June 12, 2015 at the West Shore Cafe and Inn in Lake Tahoe, California. Take a look at some of the amazing photos by Corey Fox Photography and the video by Johnny B Films. The best part of this wedding, besides all the dancing of course, was seeing how many of our family and friends made the trip to see Maureen and Scott get married. The amount of loyal friends and supportive family in attendance was a testament to how great of people Maureen and Scott are. There was love all around!! Love you, Maureen and Scott! We got a bit of a treat today instead of our typical Wednesday workout. 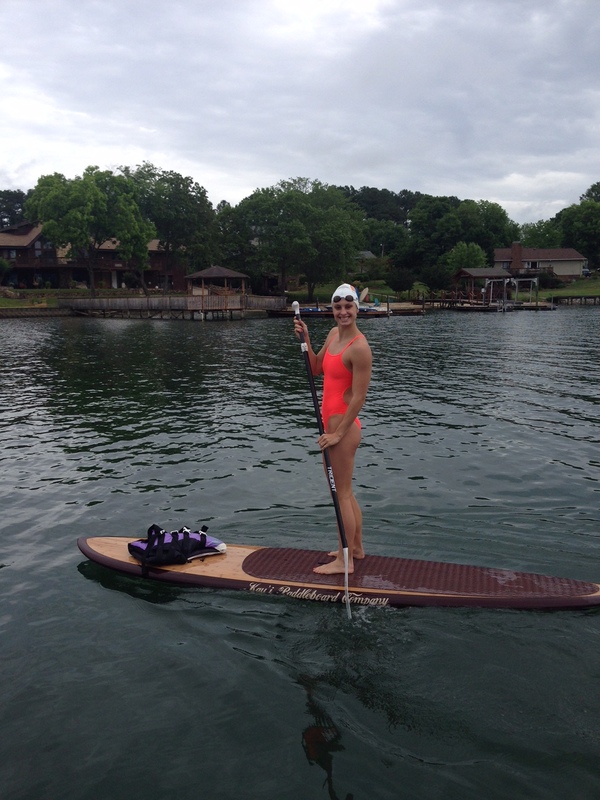 Thanks to My Aloha Paddle and Surf and to Carefree Boat Club Lake Norman we spent our practice on the lake. I’ll be honest.. open water swimming is not a strong suit of mine (I prefer all my races to be 100m or shorter) but today was a lot of fun! It’s nice to get a break from the black line on the bottom of the pool and enjoy the water in a different way. After a swim/paddle board combination we had a lot of laughs with one of David’s more fun brainchild’s. 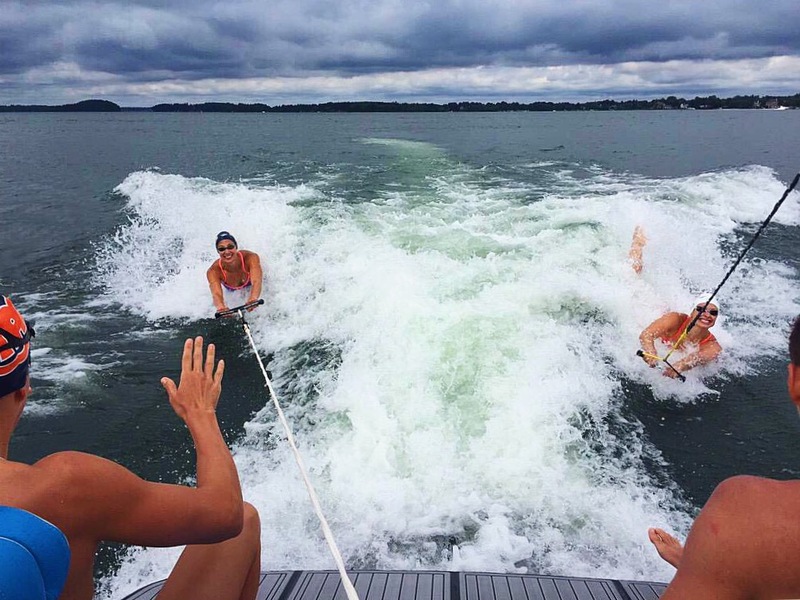 Here are the instructions: 1) Hang on to the tow line on the back of the boat while playing like a dolphin in the wake (imagine body surfing but better). 2) Release to catch the wave and swim with it as far as possible. It’s actually great sprinting technique work since it’s impossible for us to reach that speed on our own in a pool. Fun and effective… my kind of workout! !